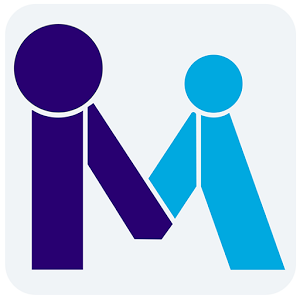 Hello Dealsnloot Readers,Sbi Mingle App Offering Free Rs.21 Bank Cashback On Sign Up And Also Get Rs.21 For Refer & Earn (Share) Cashback Will Added To Your Bank Account Directly Within 48. Offer Valid Till 14 February 2018. Refer Earn Unlimited Rs.21 Cashback For All SBI Bank Holder. Share Your SBI Referral Code And Earn 51 Cashback Like Tez App. T&C Apply.SBI Mingle app is Official App and it requires debit card information. So, you have to fill all details regarding the debit card. 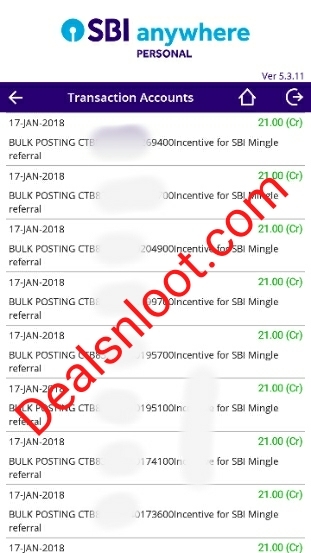 I have talked to customer care about this concern and they have told me that this app is 100% secure.The Main Thing Is That The App Brings Their Referral Program Back In Which You Get Rs 21 On Signup And Rs 21 Per Refer When Your Friend Register With Your Refer Code So Guys Without Wasting Time Refer Your Friends.So Hurry Grab This Loot. 4. Then click on Register Now Option , There You Will See The Debit Card Signup option. Now You Have to Send Rs.1 In Order to Get The Rs.21 Back In Your Bank Account. 8. For That Just Go to Home Page >> Click On Menu >> Then click on “Easy Pay” option. 13. Enjoy SBI User This Loot. You Will Get Your Signup Bonus And Referral Amount After 48 Hours And Offer Valid Till 14 Feb 2018.